Cirque du Soleil elevates its cool factor higher than ever with a new production that takes place on an even more slippery slope than usual, an arena of ice. “Crystal: Cirque du Soleil’s Ice Show” features performers flipping, flying, spinning, soaring, sliding and gliding in ways that defy imagination and gravity. What else would you expect from world-class skaters and athletes? Of course the incredible costumes, powerful music and mesmerizing choreography that define a Cirque du Soleil show are part of this mix as well. 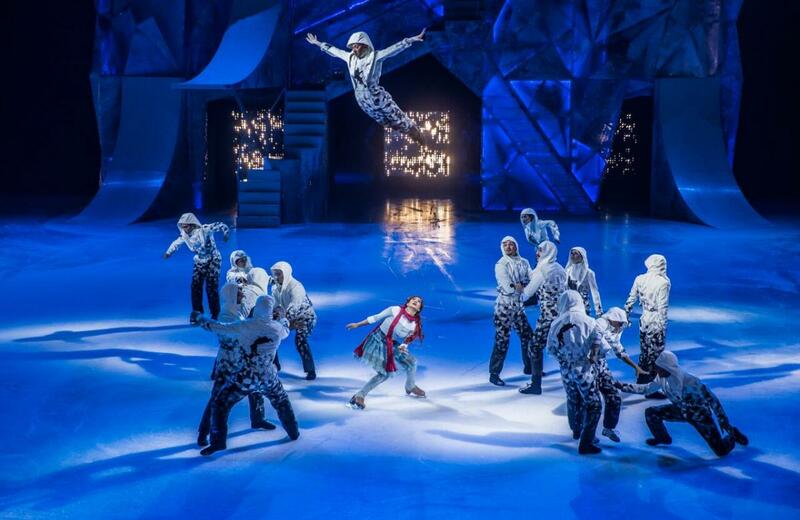 True to Cirque du Soleil, the cool air surrounding Amalie Arena's temporary, but truly breathtaking, “fantastical world of ice” won’t be the only reason you’ll get goosebumps. The premise is that she seems out of sync with herself and tries to escape reality. When she sets foot on a frozen pond and falls through the ice, she enters an upside down world that enables her to discover her true self and only then return to reality. Now how does that translate into a collection of athletic, acrobatic and artistic acts and an original score combined with pop songs that are performed by an international cast comprised of figure, extreme and freestyle skaters, acrobats, musicians and a comic character? Of course, this being Cirque du Soleil, that means there are a lots of folks on stage who, in turn, flex their individual creative muscles with the help of incredible skills, some special apparatuses and extreme daring. For a sneak peek, check out this video clip. The frozen stage for Crystal at various times portrays a schoolyard, playground, giant pinball machine and office tower in a big city, primarily through the use of video projections and props. Tickets are already on sale for the tour’s Tampa dates, Dec. 19 - 23 at Amalie Arena so buy now for best seat selection and choice of performance time and date. Want to find other fun events coming to Tampa Bay? Simply register at 813area or 727area. It's easy and free!